Indian Junta has embraced the new rupee symbol with all its heart. We are increasingly seeing the new rupee symbol ( Rs. ) everywhere. An Indian company, Foradian Technologies was quick to come out with Rupee Font as soon as the rupee symbol was released. Then webrupee, a Pune startup made it simple for web-publishers to put Rupee symbol on their web properties. 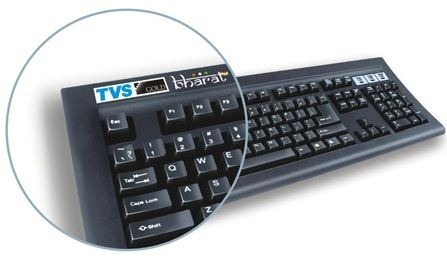 On Independence day, TVS Electronics, one of the leading IT hardware products manufacturer company in India launched the ‘TVS Gold Bharat’ keyboard with new Rupee symbol integrated on it. Now, its the turn of mobile phones – Lava Mobiles, an Indian Mobile phone brand has launched a new Mobile handset that will have the Rupee Symbol integrated on the mobile Keypad. 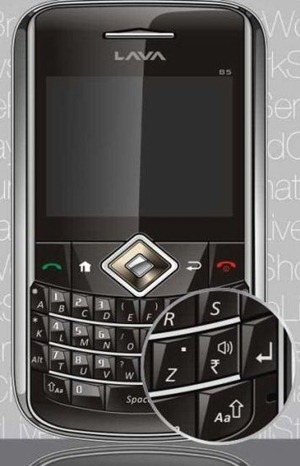 The Rupee symbol appears on the same Lava B5 mobile, which came out with the first full alpha keypad (means having keys in A,B,C,D format instead of normal QWERTY ones) few days back. Although, I am not too sure of the utility of this rupee symbol, as it is quite rare that anyone will use it on a mobile phone. However it is quite heartening to see the rate of adoption of Rupee Symbol – Many prominent online publishers have already started using it. Also, if you glance at your daily newspaper, many advertisers now use it to show their product pricing. just bought a tvs gold bharat keyboard from vplak https://www.vplak.com/tvs-gold-usb-bharat-keyboard-p189 and am very much satisfied by the product. its very accurate and comfortable to use. Lava B5(with geometrical cut over keypad buttons) is really amazing in look. But as far as performance is concerned it is beaten by its counterpart brand Micromax. Users can buy or get Lava mobiles here : <a href="http://www.buyjee.com/lava-price-in-india-2">lava mobile price in india</a>.